Anonymous asked: Hey! Love your work on venom and am really sad to see it ending. Was just wondering if you have any other pictures of Mania (fingers crossed that she doesn't die at the end of Venom) because I am going to do a cosplay of her fairly soon and I'm kind of stuck on her hair. And details or anything would be appreciated! Shalvey: Thanks very much! Well, my run of Venom is already over I’m afraid. It wrapped up with the end of the Toxin arc, bit I’ve been providing the covers since, so I was sad do hand in my final cover a month or so ago. I have 2 images of Mania. I got to design her as she was to be featured on a cover before the new interior artist had drawn her. 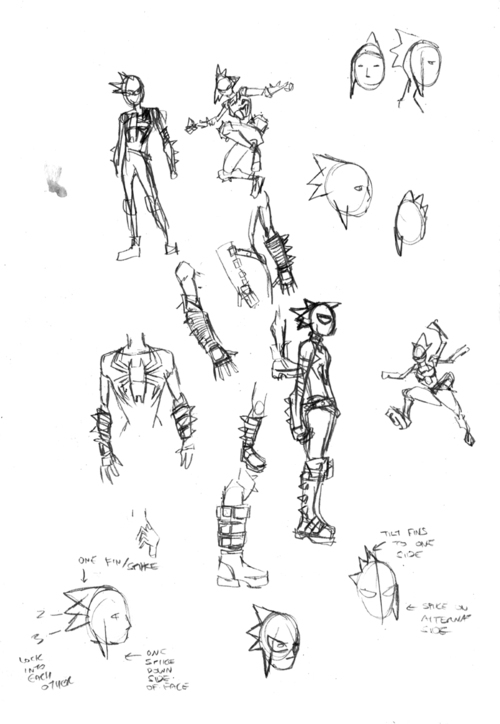 I was actually glad, as I designed Andi from scratch, and once I heard she was going to get a symbiote, I did a rough design for her in anticipation. Here is the original design that Marvel approved. I wanted to be sure that she didn’t look like Arana or any Spider-Woman/Girl incarnation. 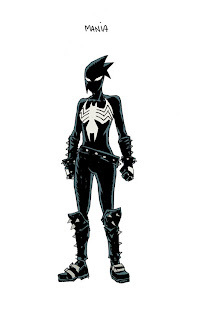 What I thought worked well was Agent Venom’s armoured-spike look, and Andi’s punk/emo fashion style. I felt they complimented each other so tried to incorporate all of that into the design for Mania. The other image is a collection of rough doodles that ultimately changed into the final design, but it’s where I figured out how her hair works. I didn’t have much time to design her so these are the only images I have. Basically, it’s a spiked mohawk on the back of her head. 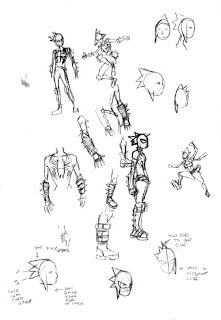 She also has a spike on the side of her head )which echoes Andi’s actual haristyle) So that they stay separate, I feel that her back-spikes or ‘fins’ would tilt in the opposite direction from where the side-spike is. Since she’s a symbiote, I felt the the position of the side-spike could easile alternate, depending on what the artist who drew her felt like. Hope this helps. Please send me photos of your cosplay, I’d love to see them! 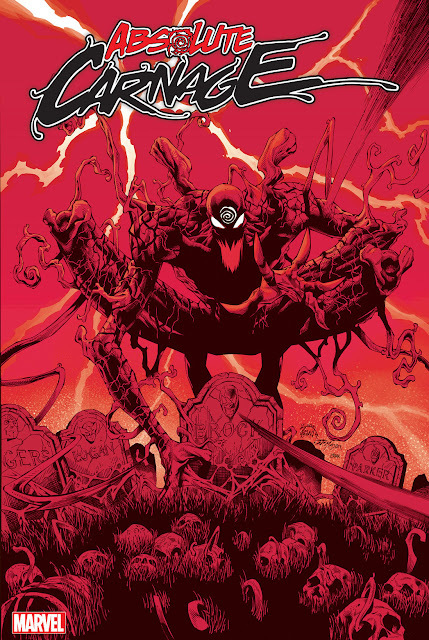 Do you hope Mania sticks around after VENOM's final issue?